Scroll to the section labeled “Guest Editor” at the bottom of the page. 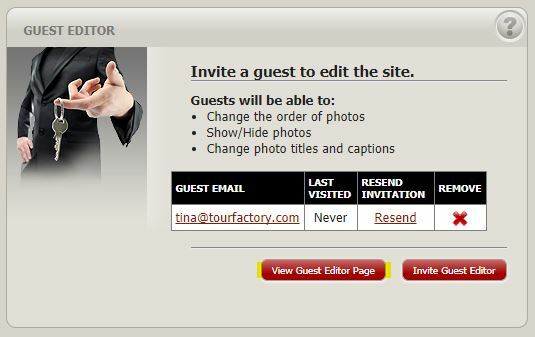 To invite someone to be a Guest Editor, click on the red button labeled “Invite Guest Editor”. 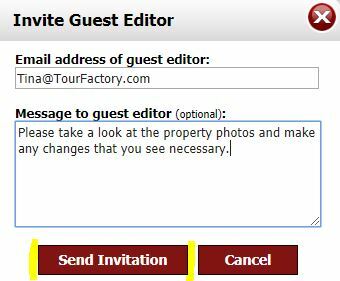 Type in the email address and a short message to the person you are inviting to be a Guest Editor. 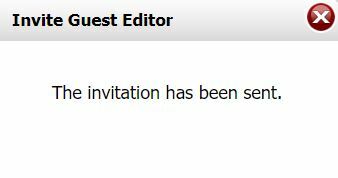 Click the red “Send Invitation” button. Your invitation has now been sent. Your Guest Editor will now be able to change the order of the photos, show/hide photos, and change photo titles/captions. To preview what your Guest Editor can see, click the red button labeled “View Guest Editor Page”. 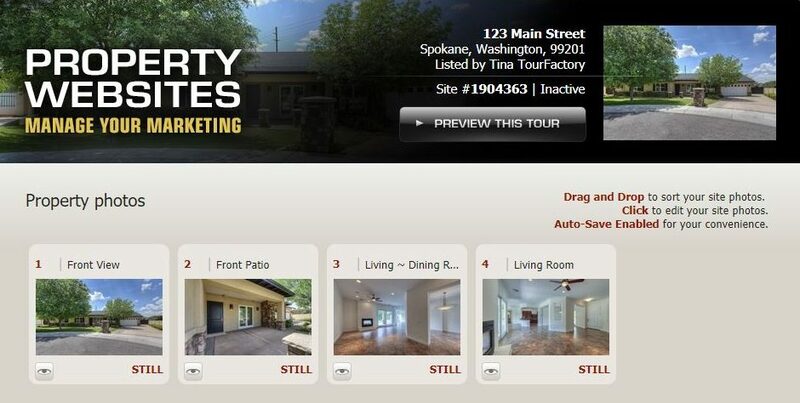 From the Guest Editor page, you can drag and drop your site photos into different positions. To edit a specific photo, click on the photo thumbnail. 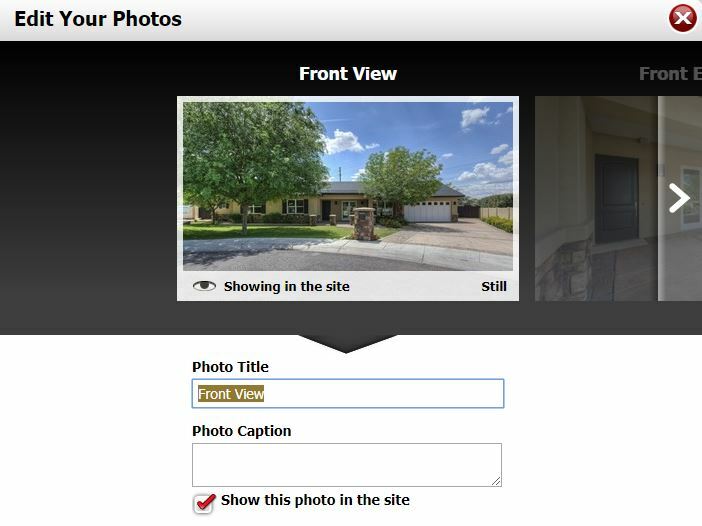 From here, you can edit the Photo Title, Photo Caption, as well as select if you would like the photo to show in the property website. Please Note: All changes are automatically saved for your convenience. You can easily move to the next photo by clicking the gray arrow on the right-hand side. Once you are done editing your photos, click the red “X” in the upper right-hand corner to return to the Guest Editor Page.